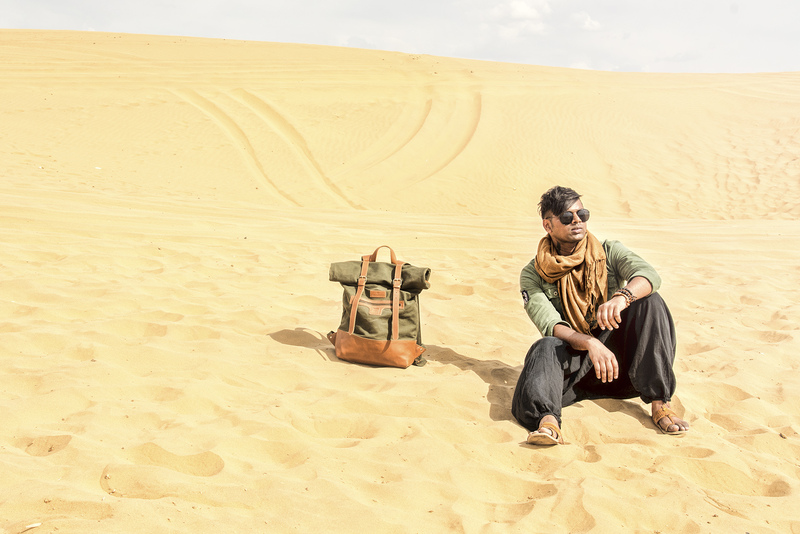 We are back with another style story from our trip to Jaisalmer, Rajasthan. This was the day when we explored the Desert. It’s pretty amazing to see nothing but small sand dunes spread across the vast landscape and clear blue sky. 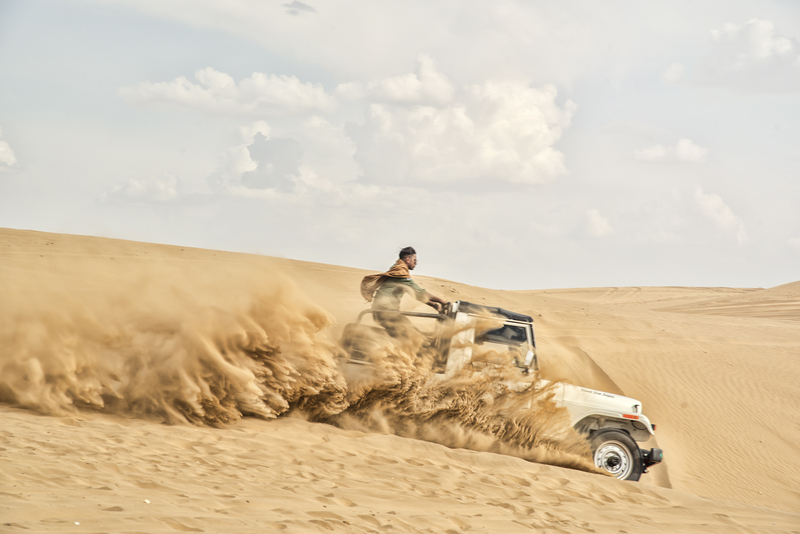 Sam sand dunes is a place to experience. 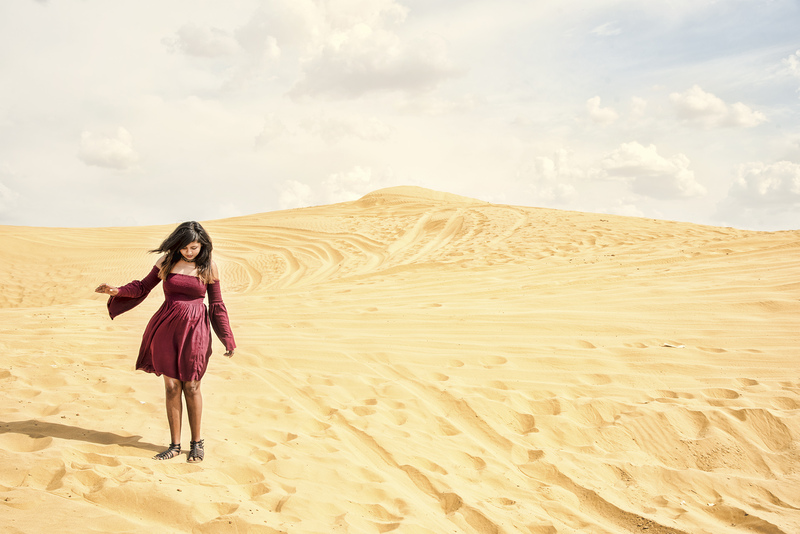 We explored every desert and clicked amazing pictures in between. Cold shoulder tops and dresses are really big this season. And I wanted to be insync with the trends this time. 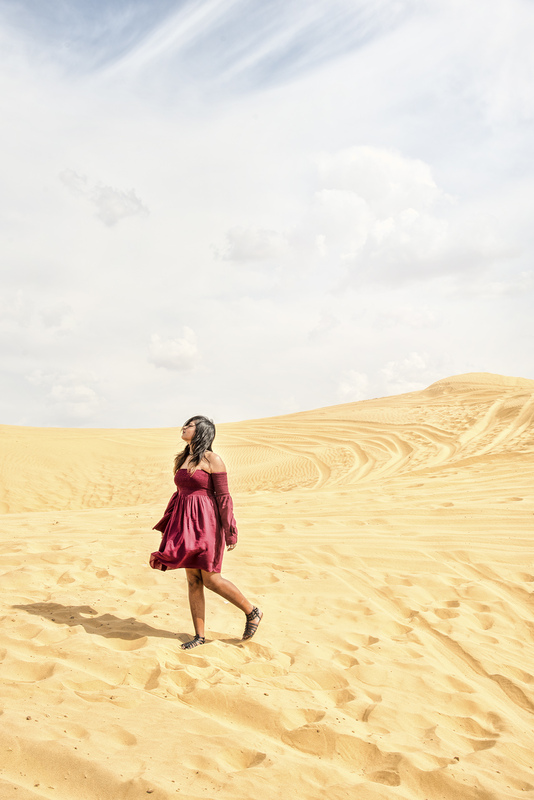 So I had this dress from Forever for quite sometime and I thought it will look really amazing in our desert story. And it actually did! Dress and jewellery gave the whole look a boho-chic effect, which sort of jelled well with the setting. And kept everything otherwise minimal. So sun, sand and wind helped us to get some amazing photos for this post. Avi went little arabic with the look. 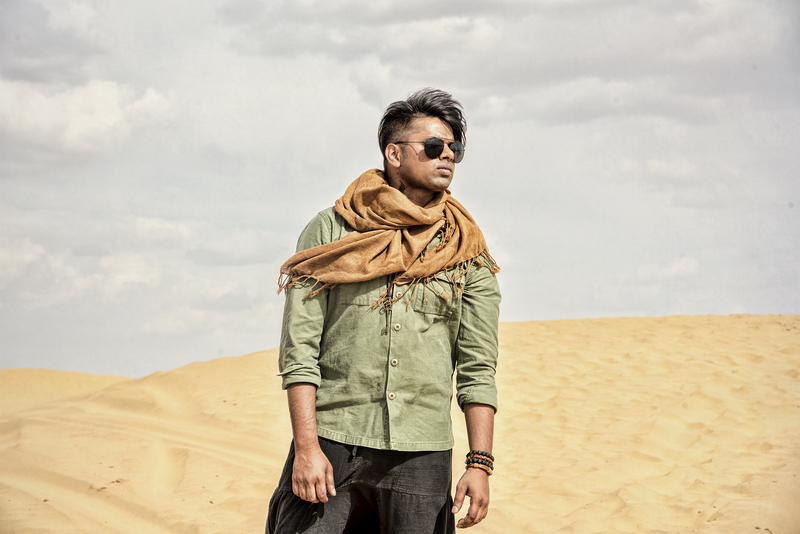 His harem pants, army green shirt and a beige scarf complimented the dunes perfectly. Also featuring here is a Four Horsemen roll top bag called Magellan. Like the great Ferdinand Magellan we are also inspired to travel the world, explore the unexplored and a Four Horsemen bag is a great companion to do that. So that’s how folks at Four Horsemen say it, Do it the Megallan way! 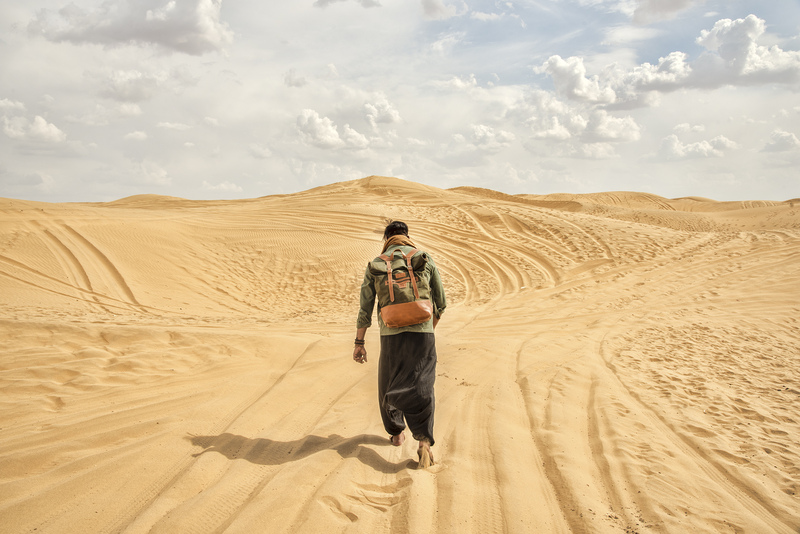 Leather, canvas and sand dunes made the pictures stand out. 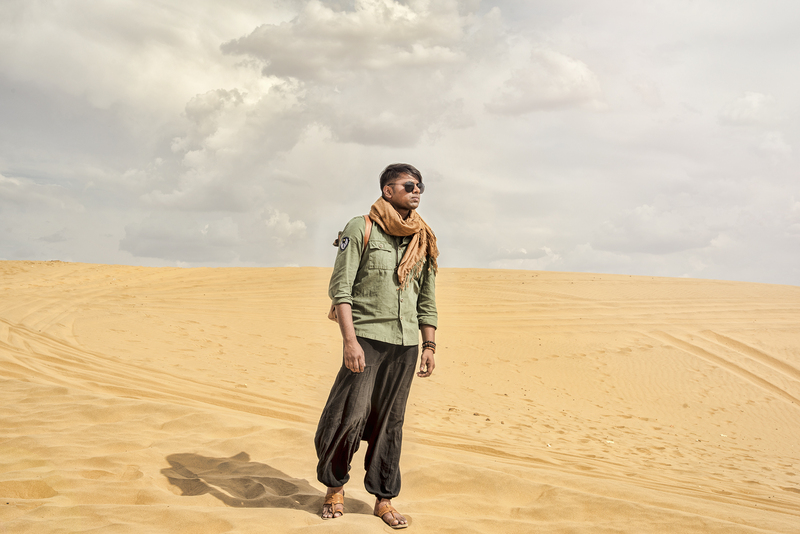 So this is our Desert story and how we styled ourself for this day. Do tell us what you feel. And to buy the Four Horseman Bag click here or check out our previous post to know more about this brand, here. On Me: Forever21 Dress, Forever21 Jewellery and Gladiators. I loved these pictures a lot! Very nice photography..Both of you are looking superb..